Sphera Cinema provides a total cinema experience with style and comfort. Sphera cinemas provide the very latest in cinema interiors technology and comfort. 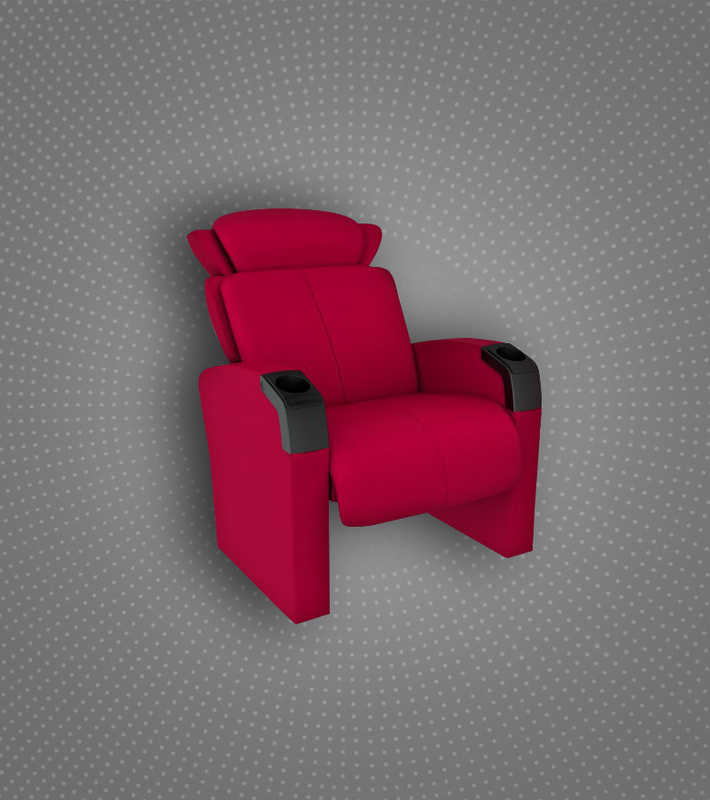 Our Seating Solution is the very latest in cinema seating technology and comfort. Elegant, contemporary designs provide moviegoers with hours of comfort as they sit back, relax and enjoy the show in style. Its attractive features, which include plush fabrics and well positioned cup holders, create a stylish and total cinema experience. Ergonomically designed, Sphera seating offers extremely high levels of comfort across all models. Sphera carpeting is a wondrous mixture of softness and peace of mind. Thanks to its solution-dyed fiber, this plain broadloom carpet is highly resistant to light discoloration and stains. It is easy to clean and ethical: made from 100% recycled fiber. Prevent sound pollution in your cinema with Sphera floor coverings that absorb and reduce noise from footsteps or falling objects. Besides contributing to a more immersive experience, Sphera carpeting reduces the sound reverberatio of the room and improves intelligibility. Simple, yet amazing, Sphera Acoustic Walls composed with stretch fabric and rockwool insulation are designed to reduce reverberation time and unwanted noise/echo in any space. The track profiles create a refined design. The stain-resistant wall carpet is a soft, flexible and aesthetic fibre wallcovering -- providing a hardwearing finish for high-traffic areas. A combination of beauty and functionality for cinemas that appeals to all senses. Our LED Step Lights are an extra low voltage alternative to mains voltage lighting. Decorative profiles for stairs are designed specifically to suit low light cinema enviromnements. They can be installed with a choice of LED lighting effects such as continuous linear light or a pintpoint light effect in a choice of colors.